Jobs Wapda Engineering Academy Faisalabad August 2016. Copyright The Daily The Express Newspaper Pakistan. 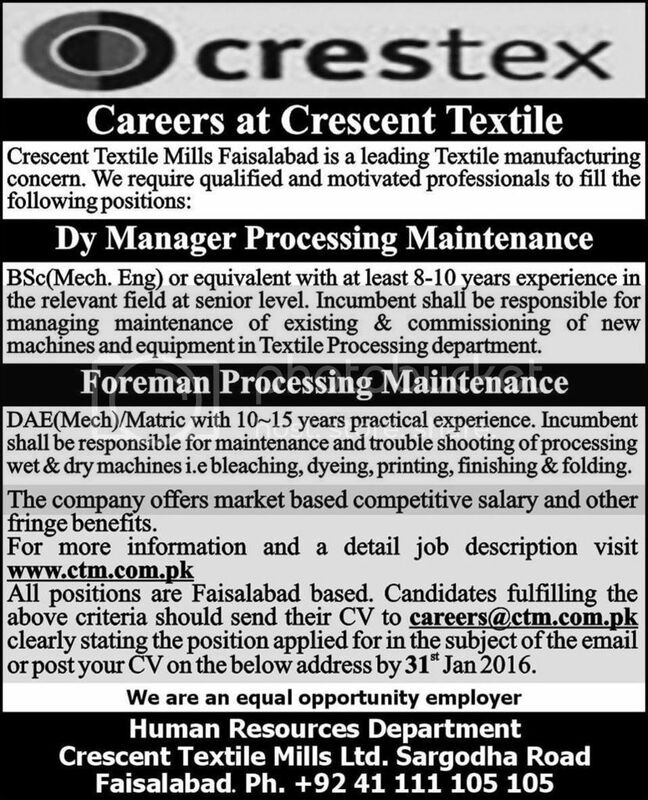 Careers At Crescent Textile Faisalabad January 2016 Copyright The Daily The Express Newspaper Pakistan. Faculty Jobs In University of Faisalabad Sep. 2015. Copyright The Daily The News Newspaper Pakistan. Chief Financial Officer Job Faisalabad Waste Management Company. Send Cvs to csfwmc@gmail.com Copyright The Daily The Jang Newspaper Pakistan. Jobs Aziz Fatimah Medical & Dental College (AFMDC) August 2015. Copyright The Daily The Jang Newspaper Pakistan. Jobs ITHM College Faisalabad August 2015. Copyright The Daily The Jang Newspaper Pakistan. Jobs Sitara Chemical Industries Limited Feb. 2015. Copyright The Daily The Jang Newspaper Pakistan. Jobs Faisalabad Electric Supply Company February 2015. Copyright The Daily The Jang Newspaper Pakistan. Director Communication Jobs University of Agriculture Faisalabad. Copyright The Daily The News Newspaper Pakistan. Jobs District Office Civil Defence Faisalabad Jan. 2015. Copyright The Daily The Jang Newspaper Pakistan. Deputy Director QEC Job University Of Faisalabad Deadline 25-11-14. Copyright The Daily The Jang Newspaper Pakistan. 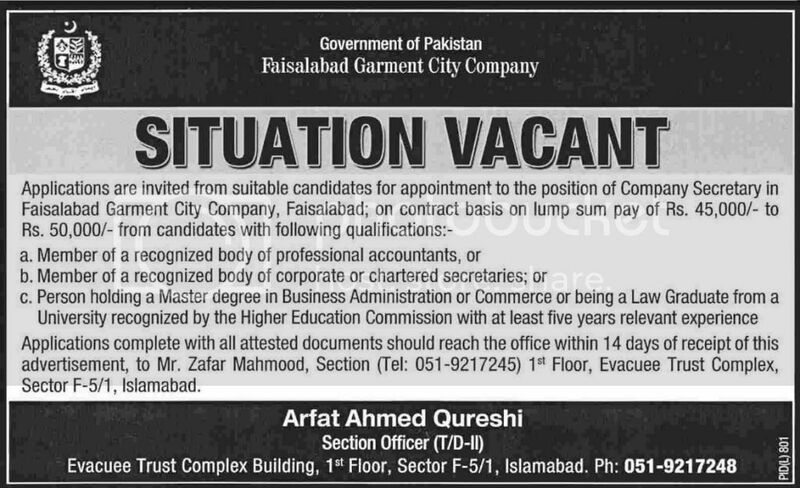 Jobs Faisalabad Garment City Company November 2014. Copyright The Daily The Dawn Newspaper Pakistan. University Of Agriculture Faisalabad Jobs Deadline 08-10-2014. Copyright The Daily The Jang Newspaper Pakistan. Jobs University of Sargodha Lyallpur Campus Faisalabad. Copyright The Daily The Jang Newspaper Pakistan. Jobs in Faisalabad Pakistan 2014. Copyright The Daily The Jang Newspaper Pakistan. Wafaqi Mohtasib (Ombudsman) Secretariat Faisalabad Jobs 2014. Copyright The Daily The Jang Newspaper Pakistan. Zonal Sales Manager Recovery Officer Jobs Faisalabad. Copyright The Daily The Jang Newspaper Pakistan. 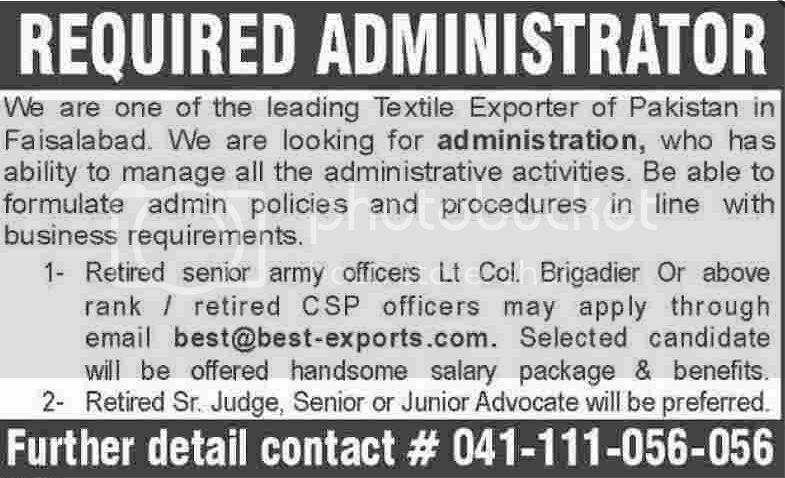 Administrator Jobs Textile Exporter In Faisalabad. Copyright The Daily The Dawn Newspaper Pakistan. Jobs Masood Textile Mills Faisalabad 05 July 2014. Copyright The Daily The Jang Newspaper Pakistan.